Play the Big Runner Deluxe slot with 5 reels, 5 rows and 33 winlines. 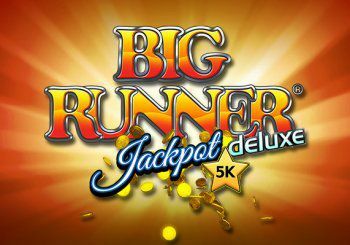 Try Big Runner Deluxe and with the progressive Jackpot. With every play spun and every bet made across all players, the progressive Mystery Jackpot continues to grow. With a guaranteed jackpot payout at a massive €5,000, it’s never been a beter time to place your bets. Free Spins – Land 3, 4, or 5 scattered Star Symbols to win 5 Free Spins! The Encharmed Quattro slot from Stakelogic is a new quatro multiplayer. Play Encharmed Quattro with 1 up to 4 different games (select below the reels) at the same time. The sorceress graces special wild multiplier symbols that can double your wins, and her mystical orb can grant you free spins games with triple multiplier wins! 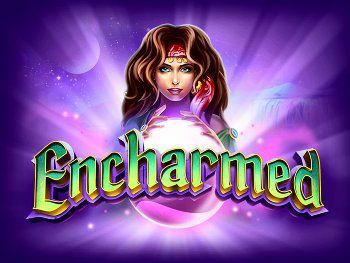 This charming and enchanting new video slot game is filled with good luck charms too. So spin the Encharmed reels to see what magical wins the sorceress can invoke for you! The Classic Forties Quatro slot is a classic fruitmachine in a multiplayer outfit. 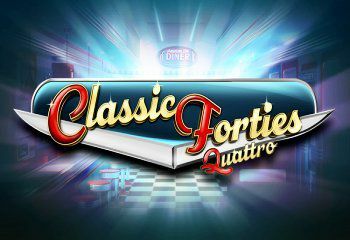 Play Classic Forties Quatro with 40 different paylines. Play multple games simultaneously and raise the stakes! Too good to be true? Try it yourself in a game crafed for lovers of classic slot machines. Land 3 stars anywhere on the reels and win Scatter Prize awards! Select Quatro mode and play up to four games simultaneously on a single screen! The Select Game opton in the lower right corner allows you to choose between playing 1, 2, 3 or 4 games at once. Your current selecton will be highlighted. Select Quatro to play 4 slot machines simultaneously on a single screen for four times the thrill! 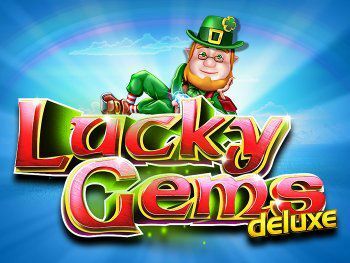 The Lucky Gems Deluxe slot from Stakelogic is a new multiplayer. Play Lucky Gems Deluxe with 1 up to 4 games at the same time. All of the reels are filled with valuable gemstones and leprechauns that can help bring you more luck. Jolly leprechaun symbols can fill an entire reel. Any giant leprechaun symbol, or part(s) of a giant leprechaun symbol, visible on the reels transform into the same matching regular symbol. The matching symbols that the leprechaun awards are mystery symbols, so you could get extra lucky and get awarded with the most valuable gem stone symbols! Is today your lucky day to win the pot of gems at the end of the rainbow? Play Lucky Gems for your chance at some big wins, with a touch of added luck! 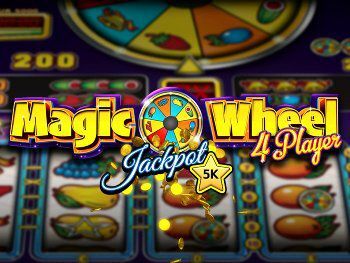 The Magic Wheel 4 Player slot is a new multiplayer from Stakelogic. Play Magic Wheel 4 Player with 7 reels and a mystery Jackpot. A magical superbet mode can award spins on a magic wheel! The magic wheel awards a guaranteed mystery prize that is then multiplied by a mystery multiplier for some big potential wins. Special star symbols on the reels also pay out big and can help score more winning combinations. Try your chances at a BIG WIN or a MEGA WIN in this hot new 10 to 25 win line, 4 to 7 reel, 3 row video slot game. The colorful reels are filled with awesome fruit symbols, bells, sevens, stars, and special double star symbols. Choose from five different game play modes that each have a different number of reels, win lines, and bet options. 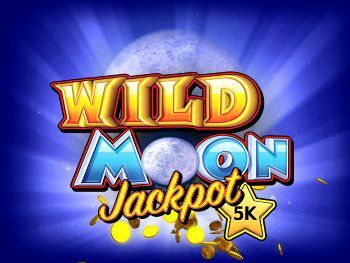 Play the new Wild Moon slot from Reflex and Stakelogic. Wild Moon is an online multiplayer that gives you something to howl about. Wild multiplier symbols are double symbols, with both wild AND multiplier symbols that are applied to any winning combination they help complete. Plus, more than one wild multiplier can be part of a winning combination, so watch the points add up when you hit multiple multipliers! And be sure to keep an eye on the mystery progressive jackpot meter. The mystery jackpot has guaranteed minimum and maximum payouts, and could hit any time! Try your chances at a BIG WIN or a MEGA WIN in this hot new video slot game featuring 7 win lines, 4 reels, and 3 rows per game in each of the two games. Play the new Turbo 4 Player with 108 win lines of progressive jackpot action. 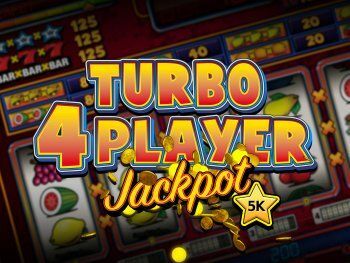 Try Turbo 4 Player with 4 different game modes, PLUS a superbet mode. Jokers award mystery win prizes in all of the game modes, with turbocharged mystery win prizes in superbet mode! Try your chances at a BIG WIN or a MEGA WIN in this hot new 27 win lines per game (up to 108 win lines total), 3 to 6 reel, 3 row video slot game. The colorful reels are filled with retro fruit symbols, bells, bars, sevens, stars, and jokers. Choose from five different game play modes that each have a different number of reels, win lines, and bet options. 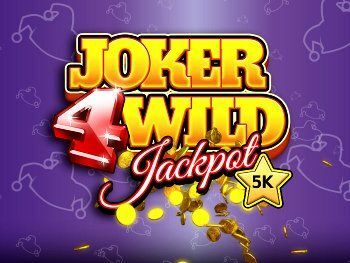 The Joker 4 Wild Jackpot is an online casino game from Stakelogic with a progressive Jackpot. Every time any player plays the game of the Joker 4 Wild Jackpot, 0.5% of every bet is added to the MYSTERY JACKPOT (PROGRESSIVE JACKPOT). The minimum guaranteed MYSTERY JACKPOT payout is 500 EUR. There is a guaranteed MYSTERY JACKPOT payout when it hits the maximum jackpot value of 5,000 EUR. Higher stakes increase the chances of winning the MYSTERY JACKPOT. 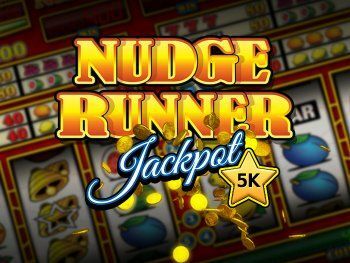 The Nudge Runner Jackpot slot is a new multiplayer with a mystery progressive jackpot! REEL NUDGES are active on the reels if the minimum required TOTAL BET to activate this feature has been placed. Active REEL NUDGES are displayed in the TOTAL BET box. After each qualifying spin ends, the reels will automatically NUDGE UP or NUDGE DOWN, with up to three (3) REEL NUDGES awarded per spin, to help create winning combinations on that spin. Every time you play Nudge Runner Jackpot, 0.5% of every bet is added to the MYSTERY JACKPOT (PROGRESSIVE JACKPOT). The minimum guaranteed MYSTERY JACKPOT payout is 500 EUR. 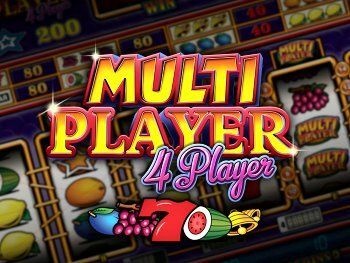 Play the Multiplayer 4 Player slot with 4 different game modes plus a 5th super-charged superbet mode! Try Multiplayer 4 Player with a chance for a BIG or MEGA win. Multi Player symbols are wild in superbet, mode and can pay out big. Look for special double symbols on the reels that can also pay out big, and can double your chances at hitting a winning combination! The colorful reels are filled with retro fruit symbols, sevens, bells and special star symbols. Choose from five different game play modes that each have a different number of reels, win lines and bet options.